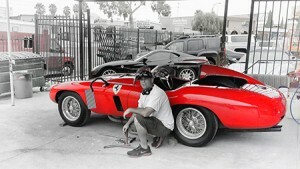 From vintage Ferrari’s to your classic 57 Chevy. Direct Paintless Pushes for Perfection! Direct Paintless understands having a ding or dent in your classic car can be a bit nerve racking but picking a reputable PDR company to do the job right doesn’t have to be. We know when it comes to your classic or custom vehicle choosing the most qualified paintless dent repair company in the Tri-Cities area is your #1 priority. At Direct Paintless we pride ourselves in a great reputation for our ability to remove dents on all classic and custom vehicles. Direct Paintless takes every job seriously with the knowledge about the type of vehicles we are working on. We realize on classic and custom cars that the paint finish isn’t always the same and different approaches may be required. There are precautions and protocols we follow before a dent tool even touches your vehicle to ensure a successful dent repair. We will personally advise you about the details of the dent removal and go over any questions or concerns you may have before we begin the repair. Our reputation for the highest caliber work and complete customer satisfaction is our first priority. We Push For Perfection! Performing paintless dent repair on classic vehicles takes tremendous experience. With over 2 decades of dedicated skill in the art of PDR, there is no doubt Direct Paintless is your best choice for paintless dent removal.